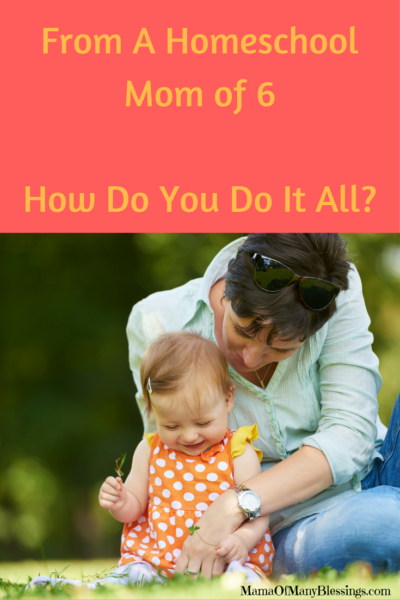 The Age Old Question... How Do You Do It All? There are so many questions other parents have asked me over the years. After 12 years of homeschooling 6 children and over 18 years parenting some pretty great kids, I sure have learned a lot along the way, often times the hard way 😉 . While I surely don’t claim to know everything, here is a look into the age old question I get all the time, how you do it all? Lets start with me giving away my #1 secret, I don’t do everything, I can’t do everything. Once you realize that you are not Superwoman you will be in a much better place. Some days I have this great and perfect schedule of what our day should look like in my head, and in the end it turns out nothing like that schedule looked. I have learned over time, to just be ok with that. In the beginning years of homeschooling I thought every box should be crossed off of my schedule at the end of the day. I thought that if we did not get everything done for the day or week, my children would fail in life or maybe it meant I was failing as their teacher. Boy was I ever wrong in thinking that. 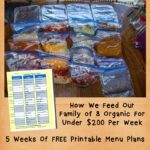 Then another issue was if we made it through our homeschool day, I often wouldn’t have it left in me to make sure we have a healthy meal on the table for my family at the end of the day. Or the house would be an absolute disaster by the end of the day. Deal with making sure we have healthy meals. Plus keeping the house picked up and clean. 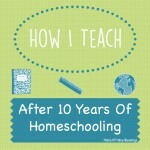 Our homeschool schedule tends to change over the years. There are some years that we have had multiple kids in many hours of therapy. This means we spend over 1/2 the day multiple days a week out of the house. You can read how we managed that crazy schedule here. During those years school would get done in the office of where the kids do therapy, and most of the time there would be kids at the house who would be expected to get their school done without me there. Needless to say that would mean that some days I would get home only to find out they didn’t finish what they should have, because they found what they thought were better things to do. This year, thankfully, we are down to only a few hours of therapy a week. We start our school day around 9am and most days finished by 12pm for lunch. On Monday, Wednesdays, and Thursdays we get to the gym by 1pm for the kids gymnastics class. On Tuesdays and Fridays we try to head to the YMCA around 2ish and get some exercise in. The kids really enjoy this, and it is a great way for me to get in some exercise as well. We try to keep our Fridays more open so that if there were projects or misc things that didn’t get done during the week, we can fit them in here. I also spend time with my older kids to check their work for the week. It teaches them accountability, and there has been too many times that we have found some lessons were not done that should have been. This was a subject that took many years for me to figure out the right way to manage. 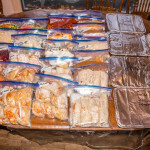 After homeschooling the kids all day, cleaning the house, and everything else that comes up by dinner time I was often to exhausted to cook a decent dinner. We would end up eating easy to make meals that really weren’t as healthy as I would have liked. I knew something had to change in this area, but unless some magical fairy was going to come down and give me a second wind for the day (like my toddlers would get) I wasn’t sure how this could ever change for us. 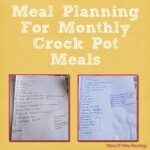 That is when I started seeing monthly meal planning ideas all over Pinterest. We tried it for the first time about 2 year ago now, and I now realize this was the answer to prayer I was looking for. 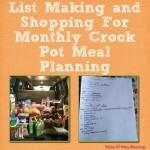 Now I know so many mama’s say it is a lot of work to do meal planning. The truth is yes, it is a lot of work but only over a 4-5 day period. But once that hard work is over you only have to put a healthy dinner in the crock pot in the morning or the oven a few hours before dinner and make your veggie at dinnertime. Magically you have not only dinner on the table but a healthy meal that you feel good about feeding your family. 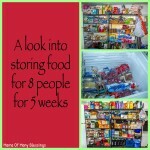 We make meals for a 5 week period so 4-5 days of work is only a very small fraction of that time. 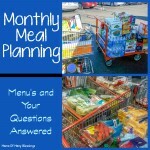 Wondering where to start with meal planning? I have you covered, I shared a series of posts that walks you through step by step on how I do it. 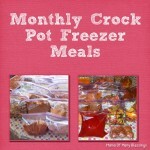 I even have shared 5 weeks worth of menu’s as well as blank menu’s for you to plan your own meals. Believe me when I say, it is well worth the investment in your time. We make dinners ahead of time, and some lunches. But often times lunches are made by different kids on different days of the week. This teaches them responsibility and how to cook and make meals plus gives me more time to do school with the kids before we have to leave. The meals are all planned out for them so all they just read it off of the menu for the week and put it together. We do not have a menu for breakfasts everyone gets their own now. When there were little kids, either myself or one of the big kids helped them get their food. How Do You Do It? Keeping The House Clean? We manage house cleaning in a few ways. First off, years ago I was a complete neat freak with keeping our house completely clean. I’m talking about getting on your hands and knees multiple times a week cleaning floors, vacuuming every carpeted area of the house multiple times a week. With time, I have learned how to NOT be that person anymore. That is not to say that my house is a disgusting mess, it just means that things do not get done as much as they used to. I’m slowly learning how to give myself grace in this area. Even if that means I have to tell myself not to look at an area of the house, because I cannot stand the fact it isn’t cleaned as much as I would like. I figure are my kids going to remember the time I spent with them 10 years from now, or how clean our house was? I have realized that due to the size of our family and the fact that it means things need cleaning more often, and everyone needs to help out even if they don’t want to. We gave in and purchased a wonderful resource called Managers Of Their Homes a few years back, this was such a big help to us. From this we have our kids work on “zones” around the house. Each child has an area of the house they are responsible for keeping clean. Example one child has the living room, another the back porch, the bathroom, etc. When we first started this, I went through and taught each of them how to keep this area clean. Now that they know how to properly keep it clean they need to go through it after breakfast, lunch, dinner and before bed and clean it up. Each child also has a big Saturday chore which is deep cleaning their zone. The kids also has an after meal chore to help get the kitchen and dining room back in order after each meal. The older kids do all their own laundry during the week, and my amazing husband does the rest of the laundry on the weekends. On Friday or Saturday I go through and deep clean some of the other areas that children are not in charge of. Lastly there are just a few chores that I cannot fit in, we now offer them as paid chores to the kids and this works great. 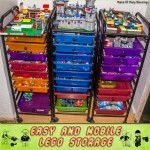 That is a look into how we manage the main areas of our life around our house. It isn’t something that happened overnight. It took time to get to this point and it also meant I had to give up my expectations of having a perfect house/homeschool/etc. but it all works pretty good for us now. 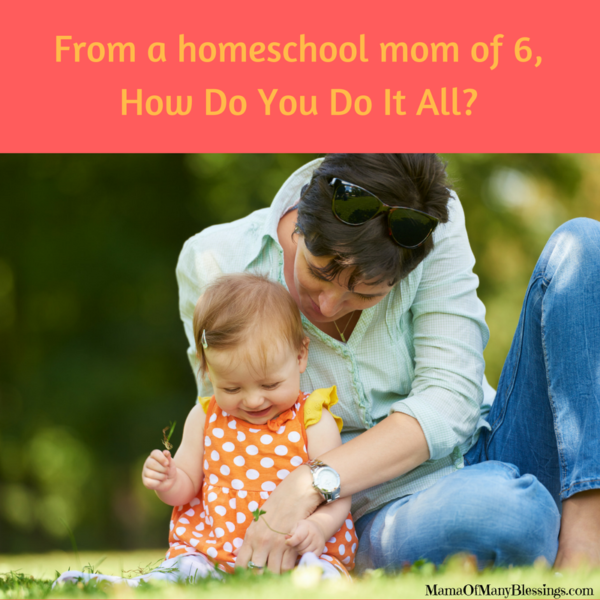 What are some of your secrets on how you manage to get everything done in your home or homeschool? Leave a comment below letting me know I would love to hear from you! 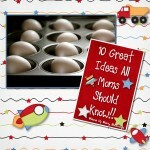 Want to see some more of my favorite ideas? Check out my Pinterest boards they are bound to keep you busy for a while! Wow, thank you for this! Inspiring and encouraging.